The greatest players in the world are calling BlueChip Picks the greatest guitar, mandolin, and thumb picks in the world. Many amazing musicians have dropped their other picks and picked up a BlueChip. Our picks are produced from a very high grade, self lubricating composite material specially formulated for great playing qualities. These one of a kind picks cannot be found anywhere else in the world. The patent pending material has great tone and speed and their self lubricating properties make them extremely fast. No more searching for the perfect pick. BlueChip Picks are revolutionizing the pick industry. 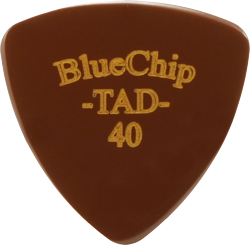 Because of their excellent playing qualities, BlueChip Picks work equally well with any guitar or mandolin in any musical genre and we have developed many pick shapes and thicknesses to suit any players taste. From blues to bluegrass, we have something for everyone. Use the “shop online” button at the top of this page to view our catalog of pick styles. Our latest development, the banjo thumb pick is now available. This thumb pick uses the same unique, patent pending material as our popular flat picks paired with a laser cut, stainless steel band. 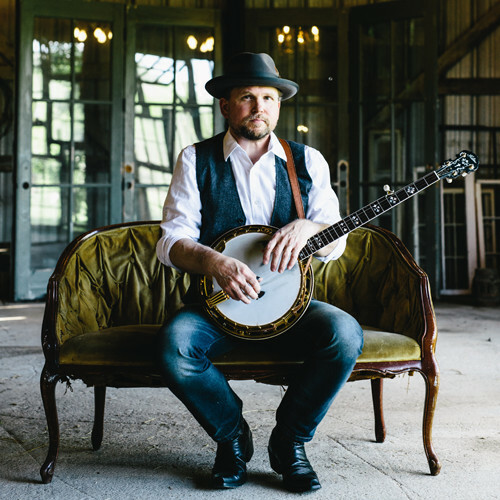 BlueChip thumb picks provide banjo players the same great characteristics that flat pickers have been enjoying and raving about since we created our first one.